I have been using my Garmin Fenix 3 since March this year and I really like that watch. I have been wearing it as my everyday watch since I first received it and I find it hard to take it off. 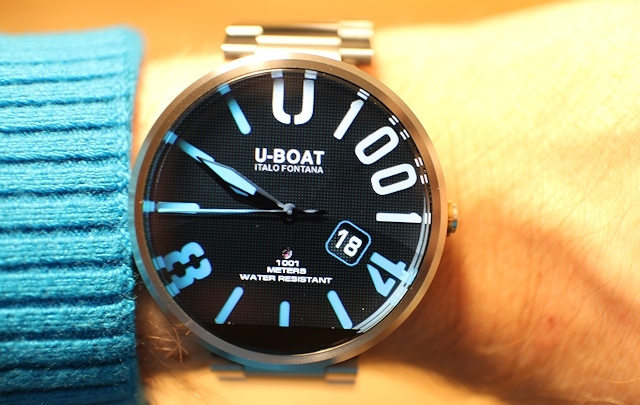 Suddenly with its “smartwatch” functions all regular watches feels obsolete. First – I got really really addicted to get all my notifications discreetly presented to me with my Smartband and Smartband Talk. More so with this Fenix 3 which does everything very well and with battery lasting up to 10 days! I think the 10 days battery will be still impressive for a couple of years from now. More of that later. One thing with the Fenix 3 is’nt is a “smartwatch” by definition of a smartwatch. I have been struggeling a little bit trying to find out why it isnt – or why it is. What makes a watch a “smartwatch”? Honestly I still dont know. But one definition is found here which I think is fair. 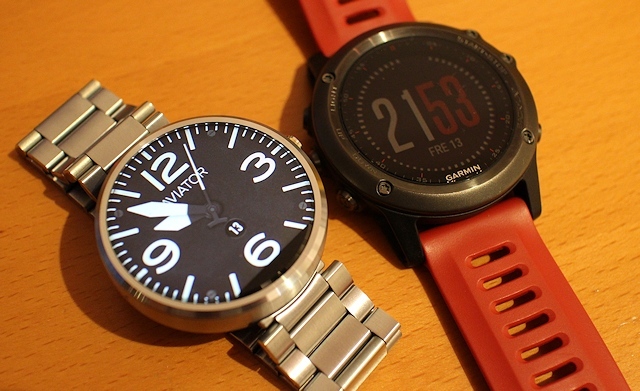 Then the Fenix 3 is indeed a smartwatch. It can do a lot of things – mostly related to activity tracking, displaying time and notifications. But it does have some functions like weather report, find my phone, music control and bluetooth notifications. One thing the Fenix 3 doesnt is look like a watch for formal occations. Allthough a lot of people wear sport watch even for formal occations I prefer to dress up a little bit. And that got me looking for an addition. Regular watches are obviously obsolete now when I am used to get my notifications on my wrist (I can not believe I am saying this, but times have changed and so have I). I had a look around and found the Moto 360 (2014) as the best looking “smartwatch” to support Android phones out there. The 2015 version of the Moto 360 is just out now, but allthough it looks a slightly better – there doesnt seem to be any big technical improvements in anything really. …to a very playfull look in matter of seconds. 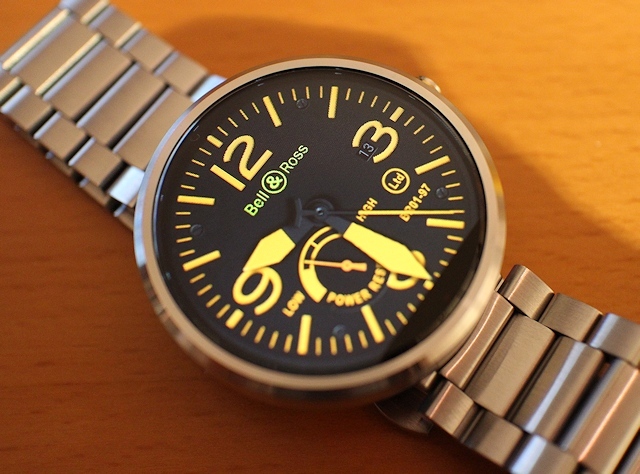 Or how about a heavy duty aviation watch face, Sir? Thanks to internet – watch faces can be found for any mood! Even for sports! So, all good then? Neh… there are issues with Android Wear. The most striking thing is battery life. Most “proper” smartwatches these days (even 2015 range) lasts for a day. And a day is about 17 hours. Then watch goes out. Black. Brick. Charge and you are fine for the next day and then repeat. Battery seems to be the achilles heel of smartwatches. I am used to my Fenix 3 that lasts for one week+ even with three workouts using GPS for an hour every week. It lasts so long I tend to forget it uses battery. That is one big score to the Garmin. And it makes me grab the Garmin for vacation use where I dont want to commit to charge every night. Another thing that is specific to the Moto 360 is the “flat spot” – the black bart on the bottom of the scereen containing a light sensor. You might have noticed, but its very visible on a white watch face. Not a biggie, but it is slightly annoying. I preffer black backgrounds so its not too annoying – fortunately. Should be mentioned, though! The screen offers a ppi of 205 which admittadly looks sufficient with most watch faces from regular viewing distance. Both watches get a little bit of attention when worn. So what do you get from the Moto 360 (or should I say Android Wear) that you dont have on my sportwatch? + Battery life is impressive for an activity tracker/”smartwatch”! + Smart notifications working excellent! I dont really think the Android software gives any proper functionality over the Fenix 3. On Android Wear I have actually less settings to play with for notifications where I feel I am in total control with the Fenix 3. I am a little bit surprised the Android Wear doesnt offer more functionality and the limited number of available apps for it doesnt seem to do more than what I could do with the Fenix 3 as well. 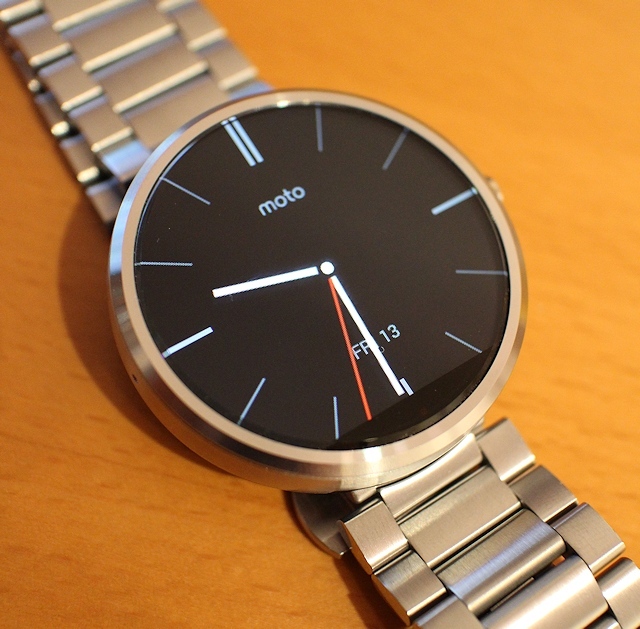 I will test using the Moto 360 as a sportwatch in a later update. So if I could have only one? Garmin Fenix 3 would be it! It is almost perfect! Aside | This entry was posted in gadgets. Bookmark the permalink.